Listening to the Sound of Success! Two different projects came to fruition last week, neatly coming in time for my birthday! Not so sure about the ageing part, but it was definitely good timing on the research outcomes! Earlier this month I spent a morning out on the river with the ‘Destination WA‘ TV crew, filming a short segment about the Swan River dolphins. We spent a lovely few hours out on the Swan River Trust boat Kwilana (Noongar for ‘dolphin’) whilst the team did interviews with myself, Delphine Chabanne (Murdoch University), Marnie Giroud (SRT), and Jennie Hunt (Dolphin Watch). It was really interesting to see ‘behind the scenes’ for the filming process, especially given the great camaraderie of the TV crew! 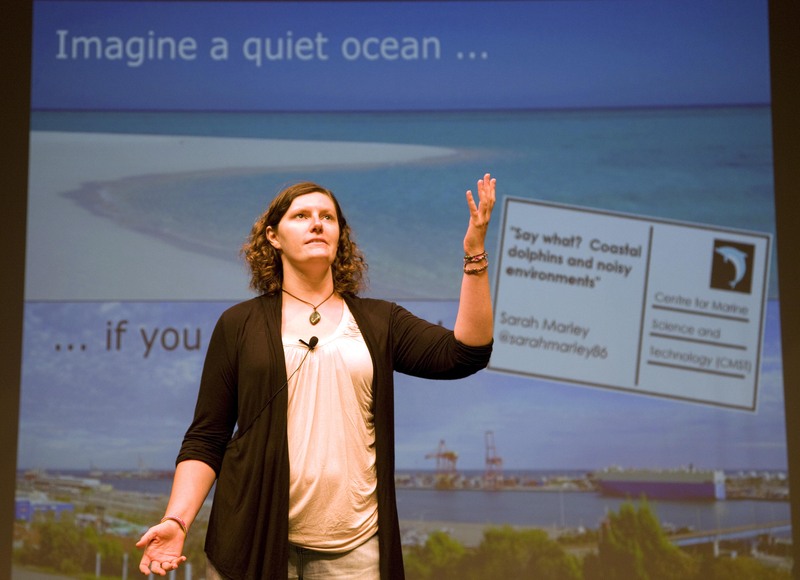 … to interpreting blue whales! 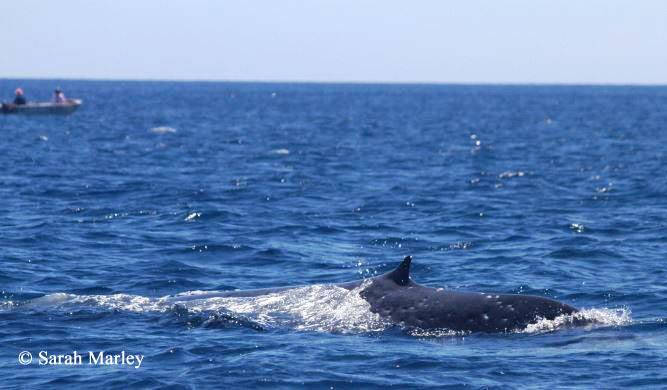 Another project success last week was finding out that our paper “Non-song vocalizations of pygmy blue whales in Geographe Bay, Western Australia ” had been published online by the Journal of the Acoustical Society of America! This study used simultaneous land-based visual observations and underwater acoustic recordings to examine the communication of pygmy blue whales. These animals are famed for their songs, made up of repeated patterns of notes. But in this study, we focused on the non-song sounds produced by pygmy blue whales and found six different vocalisations – five of which had never been described for this population before! Hopefully this will help inform passive-acoustic monitoring for the species. And as for ‘Older and Wiser’? 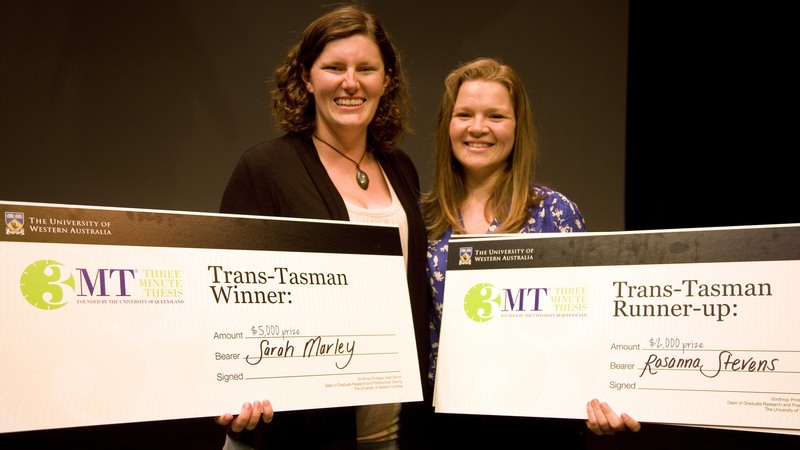 This entry was posted in PhD Life, Science Communication, Underwater Acoustics, Whales and Dolphins and tagged Acoustics, Blue whales, bottlenose dolphins, JASA, Nature, PhD, Research, Science, Science Communication, Swan River, Television, Western Australia on April 25, 2014 by Sarah Marley. In a survey from 2011, only 4% of Americans could name a living scientist. Can you identify these scientists? Many people may be unable to name a living scientist. But they certainly know where to go to find out more: the internet. With the words “just Google it” becoming an everyday phrase, the internet is now a place to find answers to all life’s little questions. What was the footie score? Where shall we go for dinner? Which car should I buy? It is a platform being rapidly utilised by retailers and advertising companies. But it is also fulfilling an educational capacity, with material ranging from pre-school to post-doctoral level now widely available. Over the past couple of months, I have attended several talks encouraging scientists to fully utilise the online world. The idea of creating an ‘online presence’ is a hot topic just now, yet many scientists and researchers are reluctant to participate. The internet can be a scary place. It is full of viruses, hackers, trolls and a whole range of people out to steal your money / identity / intellectual property. It can also be ruthlessly subjected to ‘word of mouth’, with information being rapidly passed from one person to the next. With the possibility of becoming the misquoted scientist, this can be terrifying for many researchers. But the internet also offers substantial rewards. Although environmental science is now being widely discussed in schools, most people over the age of 35 were never formally taught about climate change. Rather, they have had to obtain their information from publically-accessible sources, such as newspapers, magazines, and social media. The latter in particular is a rapidly increasing information source. In fact, it offers the perfect opportunity to turn ‘word of mouth’ from a curse to a blessing! How many of you check Facebook in the morning? Have a quick look at Twitter on your break? Perhaps you’re even one of the many who check social media before you even get out of bed? If so many people are using social media, then why not scientists?! The internet offers a much wider audience than previously available through academic publications, press releases or public seminars alone. Jo Hawkins, a digital marketing specialist, has written an excellent article giving 8 reasons why academics should invest in their online reputation. In a nutshell, the use of online platforms are an excellent two-way street linking scientists and non-scientists. Researchers have the opportunity to engage with the general public, contribute to education, and spread word of their research to a wide audience. But in return, the general public get the chance to see ‘the person behind the labcoat’, easily find an accessible authority to question on topics of interest, and learn about lots of interesting projects happening around the world. Win-win! Science is all around us. This week, try adding an extra dollop of it to your daily life and find at least one scientist to follow online. Who knows what you may discover! 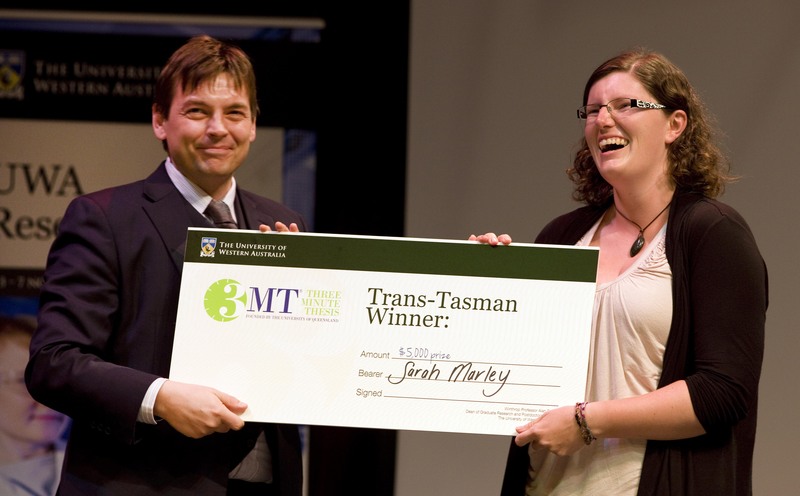 This entry was posted in Science Communication and tagged Research Impact, Science, Science Communication, Social Media on June 3, 2013 by Sarah Marley.